Leave the result to Sai Baba as it happens because of his love. 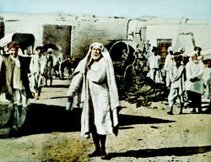 Stories of Sai Baba, we come across many incidents where the Devotees want something and Sai Baba gives something else. 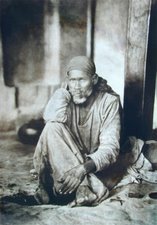 It is the love of Sai Baba which, is always looking for the ultimate benefit of his beloved devotees, that he works that way. 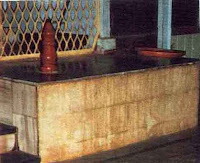 Many devotees went to Sai Baba for their desires to be satisfied and got much more precious than what their mind had asked for. 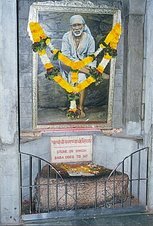 Many a times the devotees went with their wishes, and Sai Baba knowing the consequences, stopped them from doing so. 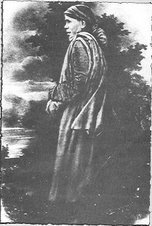 So it is best for us to love him ask for his grace, and not feel worried if the we feel that the prayers were not ansered. We should,Leave the result to him as it happens because of his love. Om sai ram, Is it is true that leave the result to sai baba, because all that happen is the wish of saibaba. i am in very deep trouble. 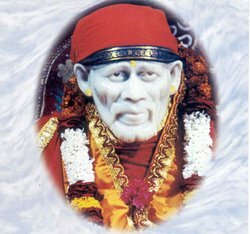 it all happen because of my wrong decision or it is sai baba wish. i can't understand. i am not selected in pcs exams and also i am too alone. due to exams i am not married to the person who like me. Now i have nothing in my hand. i think it is all happen due to my decision, because baba has already give me everything. i will end my life, because i am suffering from that punishment which i have not done. sai baba please help me. Om Sai ram, I have left my every trouble to Saibaba. My husband is not with me, because of my wrong statement to the court. Now at this time he is in the jail. I am alone baba, i want my husband Ravi to come back to me from jail for ever. Otherwise what i will do with my life, I am a big zero without my husband. Sai baba please help me and my family. 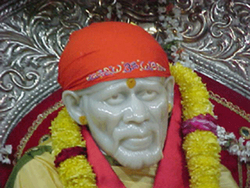 Baba,Firstly i would like to thank you for being with me at each and every second of my life.I do not know why I am facing a lot of problems and i am feeling very tired.Please help me in resolving the issues.I am helpless and totally destroyed.Please give me peace of mind.I beg you baba. BABA I have no idea what is going on my life..i have complete faith in ou but something in me mkes me worried,i have no control over myself,my desires,i am big loser i believe please help me out,i want to be a good person in my life which i think i could never be..please help me out..if there are troubles i need to face then please give me courage to face..i feel shattered,i feel horrible..you have been there all the way,please never leave me am nothin without you please be with me...please hepl me out..am SOORY for all the mistakes,i dont want to repeat them please them do this...OM SAI RAM..
Sairam i surrender myself to you. Hold me, lift me and guide me. help me to control my temper and be good to everyone. Equip me to face all the hardships in my life. i surrender my family members to you. Give them good health and peace of mind. om sai ram.......baba ur every words is an eye opener for me....satguru thank u for giving me a blessed life...forgive me for my wrong karmas im ur child..n keep me in ur lotus feet i know ur with me always i m ur kite keep me flying wherever u want to,im ur puppet mak me dance the way u want to..i want to surrender myself to u BABA,take all my problems n worries n shower ur blessings...satguru sai nath maharaj ki jai!!! My and my family are very thankful to you for being with us in every walk of my life. Though I red SAI SATCHARITRA many times, just now realized that what ever we ask you is temporary, but whatever you give is permanent and allways for the good of your devotee. Please forgive me of any mistake that I did knowingly or unknowingly. Please bless all of us to have a place at your lotus feet and distroy our ahankar, bless us to allways have faith and patience in you in all walks of our lives. I have surrendered to you totally. I do not understand to take any decision. I have left fully into you and am waiting for the solution. Please be with my family always and look after my parents. You are our saviour and please do not leave us ever Baba. Baba Please Help her..she is suffering for what she had done trusting a person who just made use of her...Please baba give her happiness & make her your true devotee..
Baba please help me you know what all i am going through i can not ever talk to anyone on this only you know it all please save me and settle my life its past 15 years suffering baba. 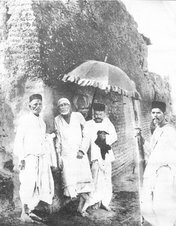 Shirdi Sai Baba is the ultimate truth. I wish I knew 20 years ago what I am beginning to understand now that spirituality and practicing religion is not done only in the temple or only for a few minutes in the morning. It is something that should pervade us completely and shadow us throughout our day. That we need to see divinity/God in everything. We should interact with everything keeping this in mind. Thank you Shirdi Sai Baba for helping me see this. Thank you for helping me grow. Thank you for helping me get comfortable with who I am. Thank you, thank you. I am going through some of the toughest times in my life and I am grateful to Sai Baba for helping me. 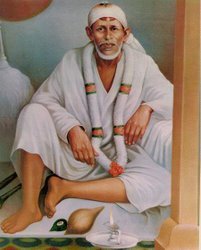 My only suggestion to every one is to read Sai SatCharita everyday -- It may be the best thing you would do in your lives.